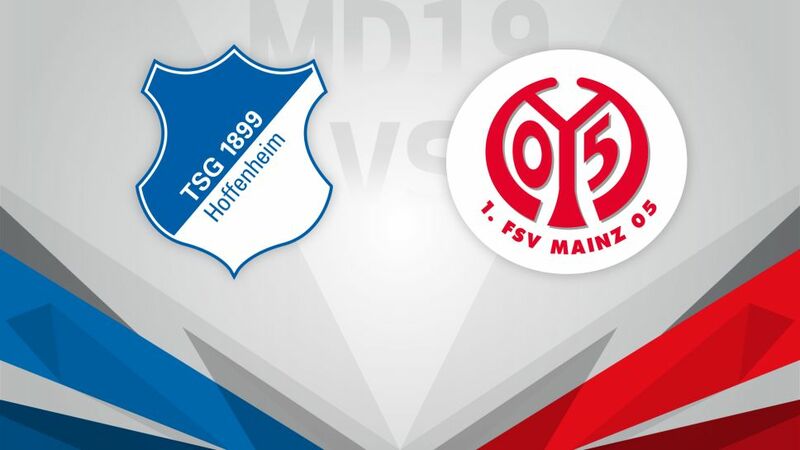 TSG 1899 Hoffenheim will be looking to bounce back from the shock of losing their unbeaten record when they host 1. FSV Mainz 05 on Saturday (kick-off 15:30CET/14:30GMT). The Sinsheim club’s 2-1 defeat by RB Leipzig on Matchday 18 was their first of the season, but things had started well when Nadiem Amiri gave them an early lead. The result saw them slip out of the UEFA Champions League places and coach Julian Nagelsmann will be keen for his side return to winning ways at the first opportunity. Elsewhere, Mainz claimed a point last time out when Danny Latza’s late equaliser secured a 1-1 draw with Borussia Dortmund. The 05ers have been busy in the transfer market since, bringing in Bojan Krkic on loan to give Martin Schmidt’s side some firepower to propel them up the table in the second half of the season.